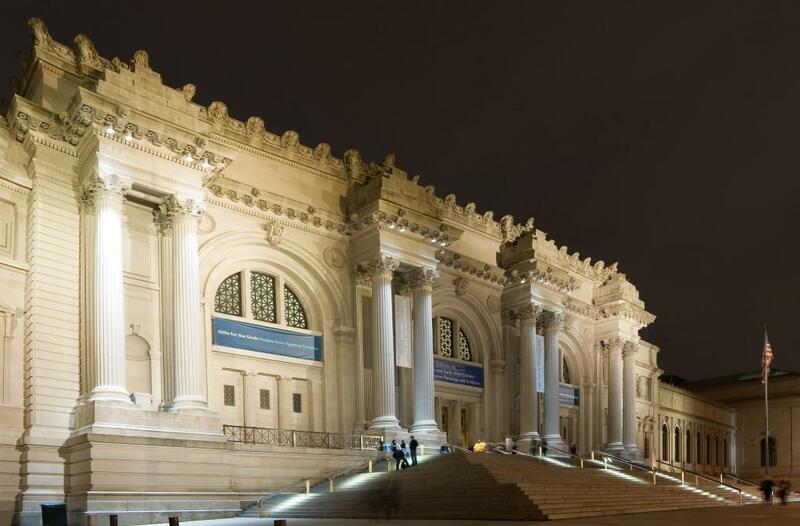 Every year New York’s Metropolitan Museum of Art’s Costume Institute throws a gala to raise money for the museum’s benefit. And while that may sound like a stuffy party for rich old people, it is actually a stuffy party for rich old people that happens to be also be attended by a bunch of celebrities and fashion industry leaders. The Met Gala also happens to officially kick off the Costume Institute annual fashion exhibition, which sets the tone for the Gala. Guests, and all of the invited celebrities and wannabe celebrities, are expected to not only fork over some cash for the museum, but come to the event dressed to match the party’s theme. For this year’s 2016 Met Gala, the theme will be high-tech fashion and feature over a hundred years of the most advanced clothing of the day. The exhibition will be called “Manus x Machina: Fashion in an Age of Technology” and will display over a hundred different ensembles from as far back as the 1880s and all the way up to a modern Chanel suit from 2015. The chosen span of time being detailed by the event is intentional as it marks the beginning of haute couture in the late nineteenth century, the onset of industrialization and mass production, to the high-tech methods used for the production of clothing by the modern fashion industry. Would you be too chicken to wear this dress? “The Costume Institute’s spring 2016 exhibition will explore the impact of new technology on fashion, and how designers are reconciling the handmade and the machine-made in the creation of haute couture and avant-garde ready-to-wear. The exhibition will propose a new view in which the hand (manus) and the machine (machina), often presented as oppositional, are equal protagonists,” explains the Metropolitan Museum. The exhibit is intended to contrast traditional haute couture fashion – individual and often custom, one-of-a-kind pieces of clothing – with high fashion inspired ready-to-wear – mass produced – clothing. The main exhibit held in the Robert Lehman Wing galleries will feature dozens of handmade haute couture clothing displayed alongside their ready-to-wear counterparts, often mass produced using machines. This will perfectly illustrate how the often incomprehensible high-fashion clothing shown at extravagant and over-the-top fashion shows are reinterpreted and translated into everyday clothing that makes sense for average people. Not only will real, vintage clothing be on display, but the exhibit will include several installations focused on clothing made using the traditional fabrication methods often employed in the construction of couture clothing and how that is reproduced on a larger manufacturing scale. There will be workshops dedicated to crafts as diverse as embroidery, feathers, pleating, knitting, lacework, leatherwork, braiding, and fringe work. 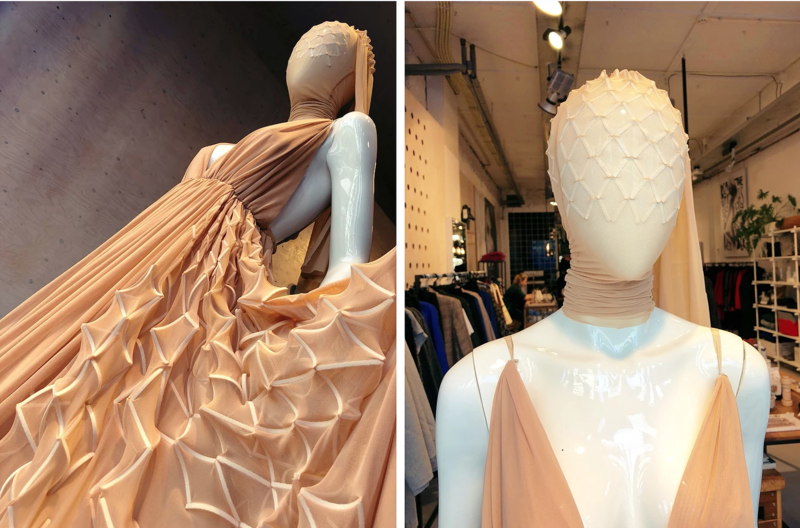 These workshops will be presented alongside contrasting examples of clothing made using modern technologies, including 3D printing, laser cutting, thermo shaping, computer modeling, circular knitting, ultrasonic welding, bonding, and laminating. The popular Anna Wintour Costume Center will also contain several “in-process” workshops featuring the creation of 3D printed clothing for the entirety of the exhibition. Guests of the exhibit will be able to watch 3D printers producing actual, wearable garments, including the post process and fabrication steps. As is typical of the opening of the Costume Institute fashion exhibition, the Met Gala will feature a red carpet arrival ceremony and several celebrity hosts, including Anna Wintour, Taylor Swift, Idris Elba and Jonathan Ive, who will be expected to show off their technology-themed attire for the attending press. The event will appropriately be sponsored by Apple. The Met Gala takes place on May 2nd, 2016 and the “Manus x Machina: Fashion in an Age of Technology” exhibition will open on May 5th and run until August 14th. WIll you be attending the gala or exhibition? Let us know in the 3D Printing Met Gala forum thread.